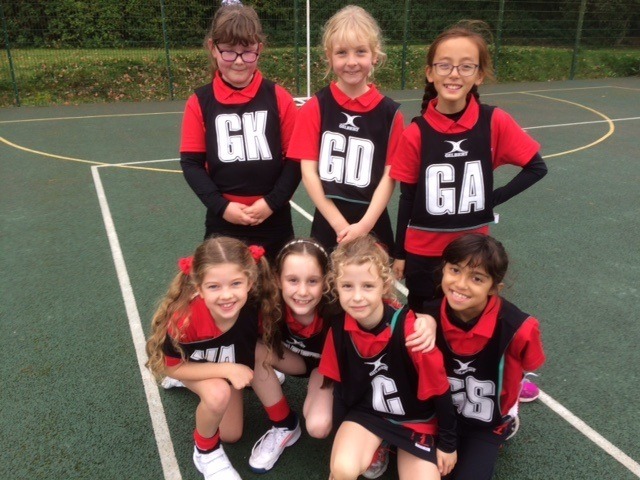 I was very impressed with the skill and teamwork of the U9B’s netball – so were the visiting parents and the oppositions umpire. The team’s passes were accurate and every player did their utmost to be involved in the game. Jessica, Pippa and Ivy-May worked well together in defence and I don’t remember Great Walstead having many, if any shots on goal. At the other end of the court Samantha, Jasmine and Sophie worked tirelessly to get the ball into the shooting circle and they managed to afternoons when the ball went around the edge of the ring quite a few times but just wouldn’t go in! In the centre Jennifer’s work rate was excellent, she went for every ball and had some great interceptions. The Great Walstead umpire commented on Jennifer’s play in particular. Samantha and Ivy-May were chosen as Players of the Match by the Great Walstead squad. Well done girls, a really good performance.